Ah, the Wild West, where alarm clocks have legs and feathers and rocks tell ancient stories. Once they find the courage to face the thorns and howling moon nights, cowgirls and cowboys can dance the two-step off into the sunset of this gorgeous picture book. 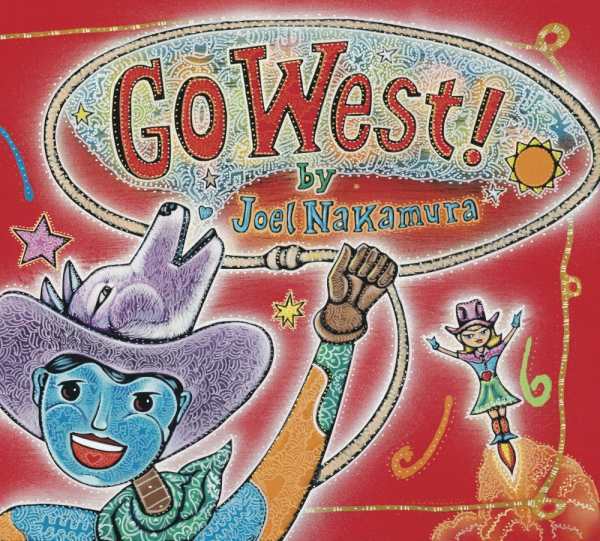 Nakamura’s bold rainbow of paint colors evokes the timeless natural beauty of the American West, and his whooping prose will echo across the mountain peaks of children’s imaginations. Ages three and up.